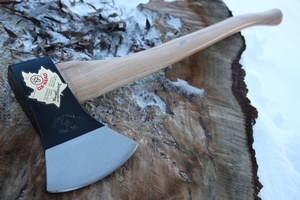 Iltis Oxhead German 2 1/2LB Axe. A wider poll than the 2 1/4LB axe gives this axe a touch more weight and the shorter 26in handle offers portability and versitility. Excellent All around Axe. Germany's oldest forge, in operation since 1781, is renowned for making superb quality axes. 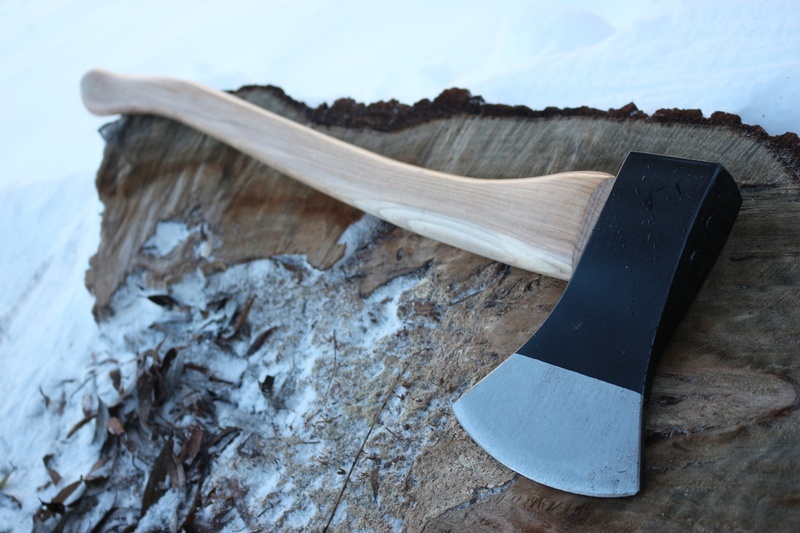 This is a general purpose axe 26in overall length with a 2 1/2LB cutting head. 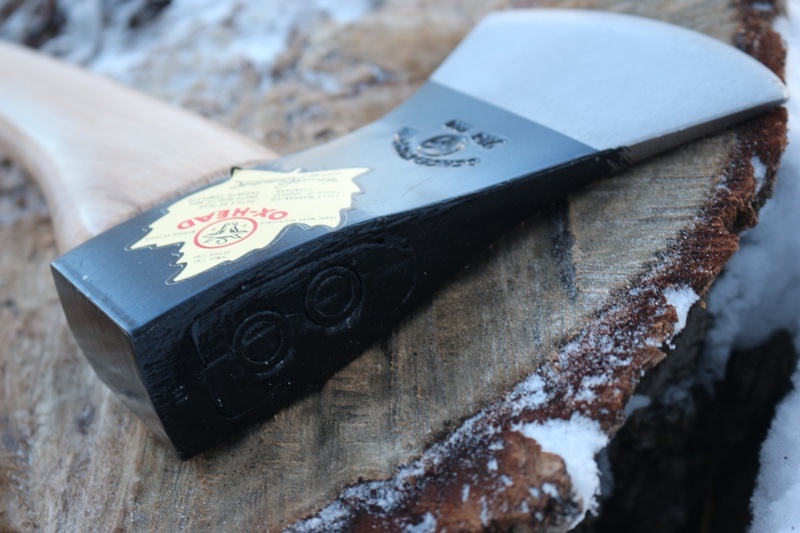 Great for log work and general purpose cutting, the steel is German made, holds a great edge, is extremely tough and well tempered and yes, it... 'rings' true! Purchase through PayPal by using the "Add To Cart" button above or use the form below to order the Oxhead 2 1/2LB 26in Original Axe . 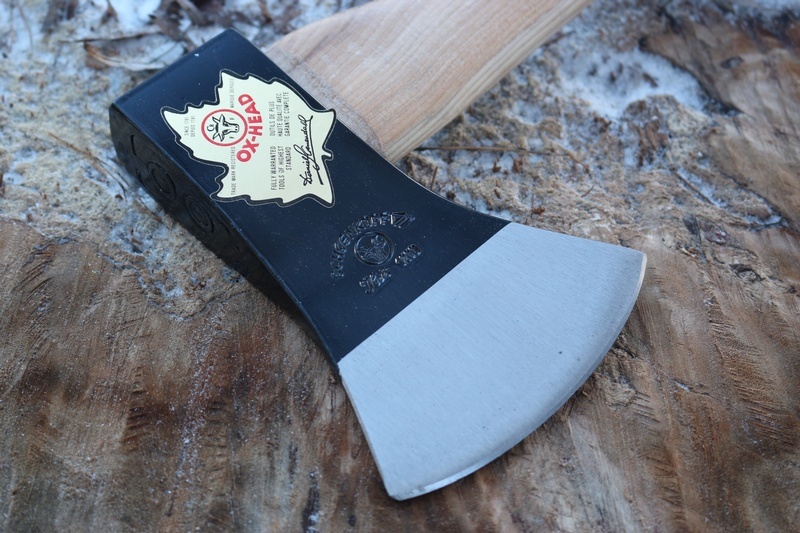 Feel free to contact us if you have any questions about the Oxhead 2 1/2LB 26in Original Axe .